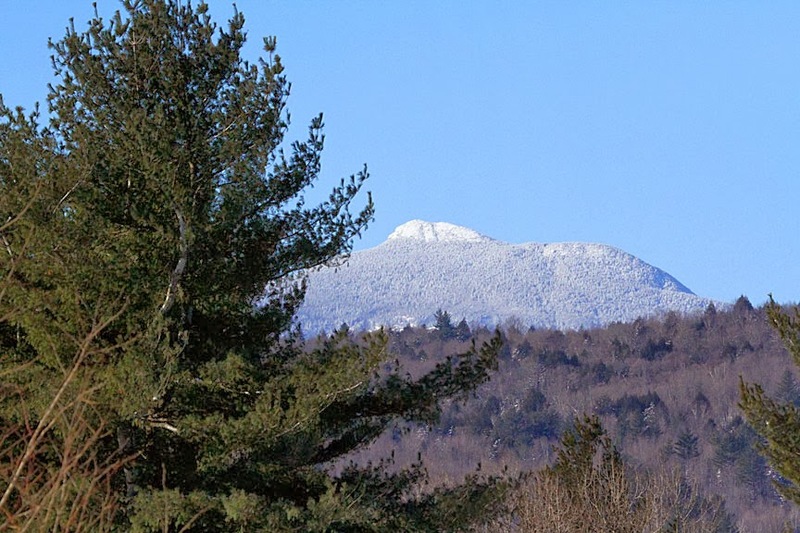 It's been a very cold and snowy winter in Vermont! 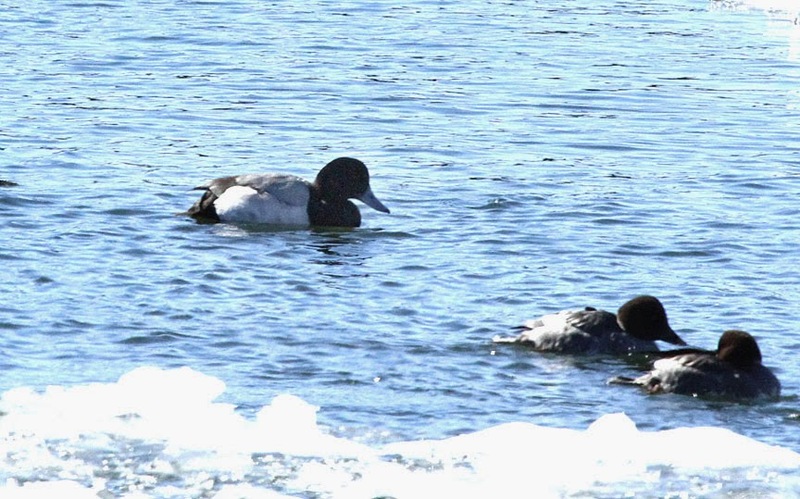 We've been wanting to go to Lake Champlain to see waterfowl. We usually head to the southern end but the lake's been freezing further and further north. One of the areas still open is at the Charlotte Ferry landing, where the hourly runs of the ferry have provided open water for thousands of ducks! So onward to the lake and the Charlotte ferry landing! 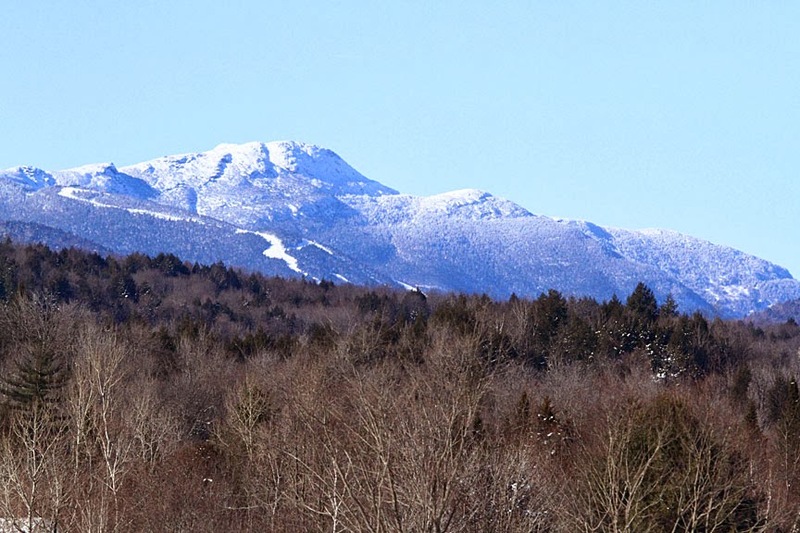 A gorgeous day and the scenery is spectacular!! The open water near the ferry landing was much less than it had been 3 days earlier, so there were fewer ducks, but we had a nice variety. 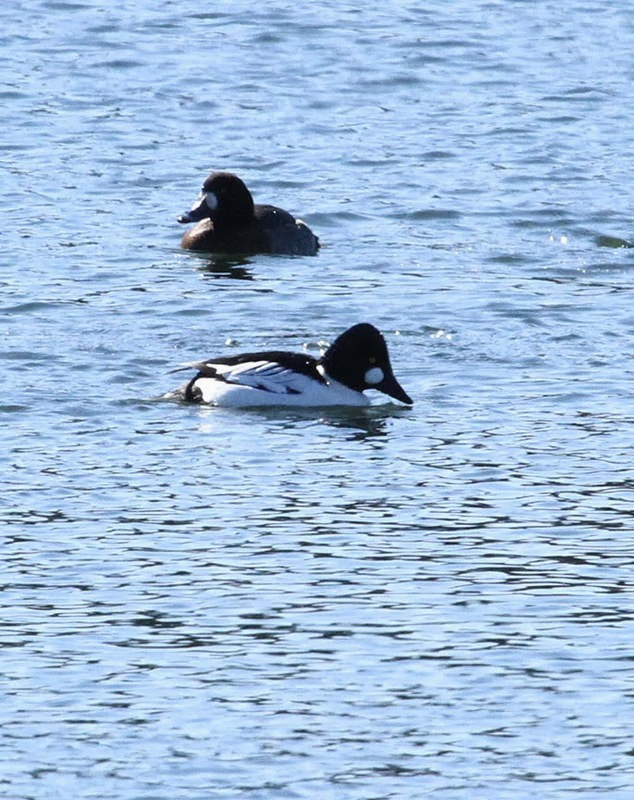 Lots of common goldeneye, greater and lesser scaup, a pair of Barrow's goldeneye, a few long-tailed ducks, ring-necked, mallard, common merganser and black ducks. The lighting was pretty harsh so Gerry didn't get a lot of good pictures. 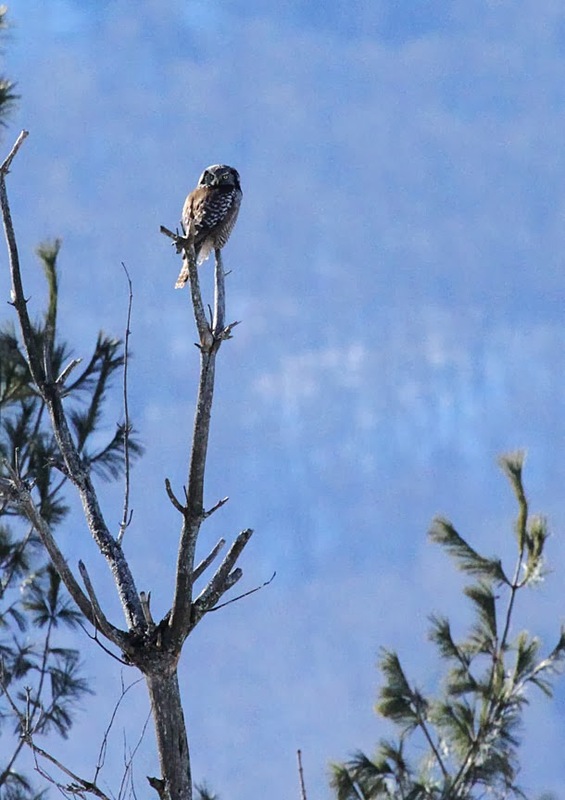 We decided to go back home the way we came and make another attempt for the hawk-owl. The third time was the charm! 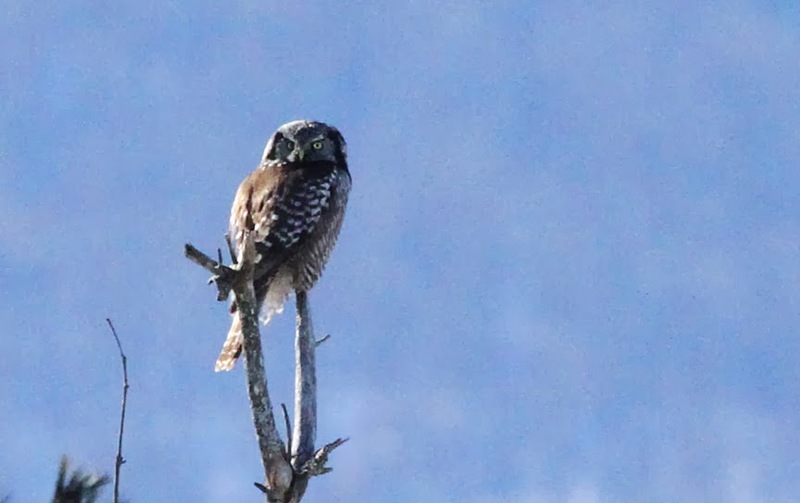 Northern hawk-owl sitting on a snag. The hawk-owl generally stays within it's breeding range which is Canada and Alaska, so it's a rare treat to find one in the lower 48.